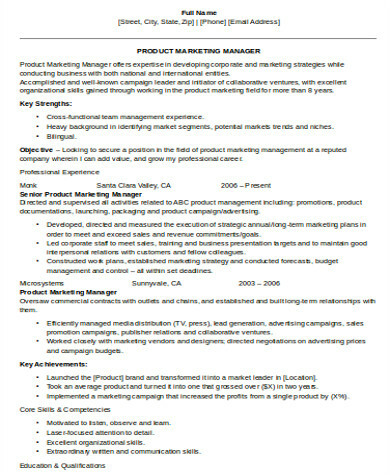 A marketing manager handles the overall marketing team and is responsible for leading the whole team into doing their main job with impressive productivity and keeping all of them on track with the teams goals. 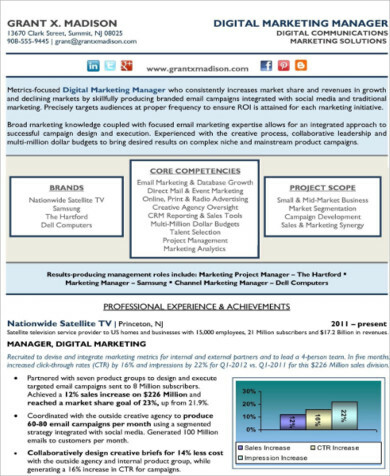 The main goal of the team is to create a creative, effective, and practical digital marketing solution. 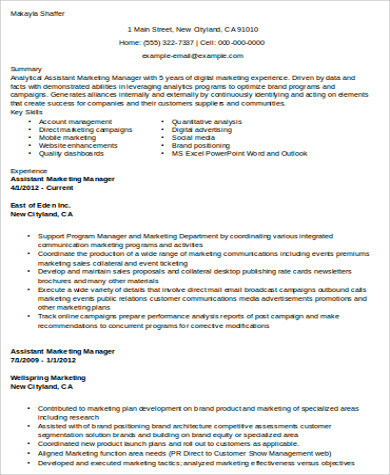 If you are planning to create a new resume as a marketing manager, these 8+ Sample Marketing Manager Resumes are going to be your guide on your next draft. It includes templates that are editable and free to download. 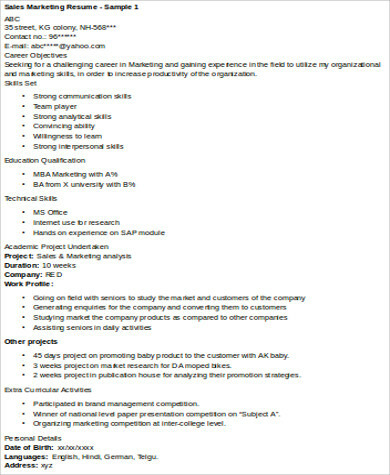 We all know that a basic information in your resume is necessary as this will be the employer’s guide on how to designate and contact you, just in case you hit the spot. 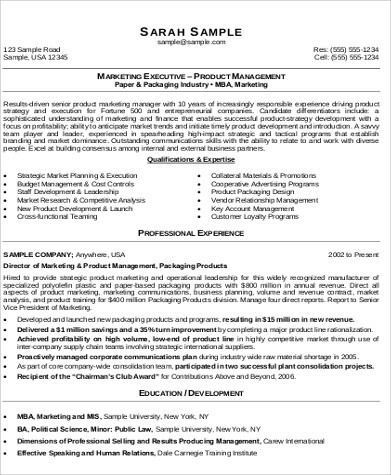 This includes complete name, contact number, and e-mail address. Though not necessary, others put in their current home address. It is important that you address your job role so as to put a clearance between you and the employer. However, this designation should be correlated with the current job you are applying in. 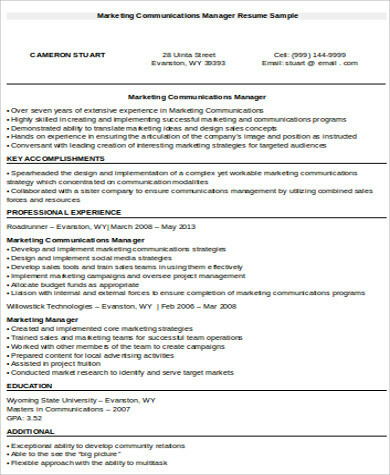 This is the part of the resume where the employers usually start looking in when they read your resume. Impressive skills, especially if they are very useful to the related job, would more likely get the employer interested with you. Highlight your best skills, but make sure they fit with the role you are applying for. Well, we all know that work experience matters, and as for this, it is also crucial that you include this on your resume. Make sure this is updated as well. There are other employers that check the potential employee’s educational background, and for some reason, this might be the basis of the employee’s capacity as a worker. Some use this as a basis whether the applicant is already legal to work. 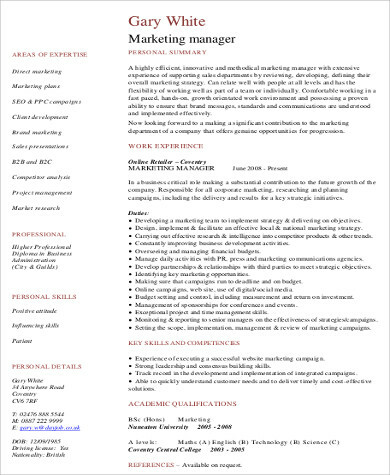 If you need more resume samples, you can check out Sample Marketing Resumes, and for MBA graduates, you might want to take a look at Sample MBA Resumes. 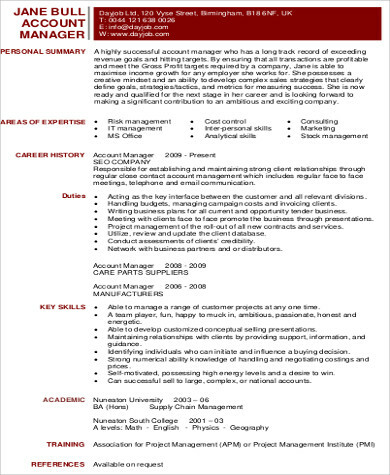 It is important that your resume is organized, neat, and easy to browse. Remember, your resume is your professional identity, and a sluggish resume will give out a bad impression. Aside from your job history and skills, it is a plus if you have accomplishments to add on, as this will give an impression of an overachiever. As mentioned above, it is important that you fit your highlighted skills and work experiences with the needs of the job. As much as possible, just focus on the important details and exclude other details that are not really needed such as the References. Hand them only when needed or asked. 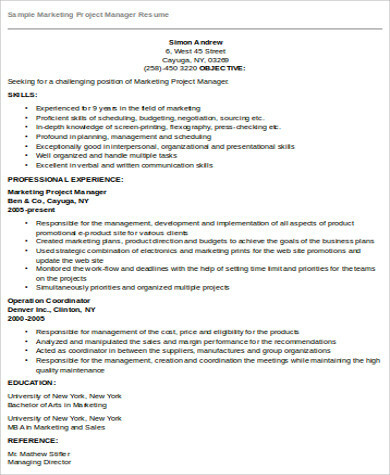 See Sample Technical Resumes for more resume templates samples.